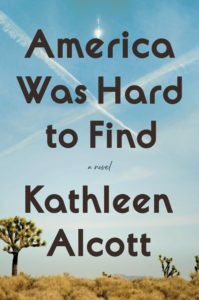 A novel about a Kentucky horse-breeding family that is both a meditation on race and a bitter inversion of the American dream. This riverine, gorgeously textured novel is highly ambivalent about the encyclopedic knowledge that it delivers ... Henrietta [is] possibly the most intellectually resplendent heroine I’ve met in a novel ... One curious pattern that repeats itself often in Morgan’s Southern Gothic plot is a kind of murderous tattling, in which one character tells the truth to another and mayhem results, sweeping away the guilty with the less guilty ... The Sport of Kings can be wearing. Some of Morgan’s black characters are so crushed by pain and misfortune one can hardly bear to read on. But I read on. There is life, wild joy and finally salvation in the language itself. C. E. Morgan has more nerve, linguistic vitality and commitment to cosmic thoroughness in one joint of her little finger than the next hundred contemporary novelists have in their entire bodies and vocabularies. The Sport of Kings marshals linguistic profligacy in order to approach reality’s extravagance. Morgan’s sentences often use a paratactic structure, linking clauses with a simple comma; long stretches read like litanies. This deeply cadenced structure, typical of the King James Bible, holds out the promise that if only one more item could be added to the list, the world might be captured in language. It is a sign of Morgan’s mastery that she almost convinces us that she can accomplish this impossible task...The Sport of Kings roils with anger and shimmers with beauty. It is a contemporary masterpiece. Ms. Morgan’s literary sins, if sins they are, derive from her muse, which appears to be almost too big to carry. Because she can do anything, she tries to do everything. In The Sport of Kings she has clearly written a serious and important novel if not a great one. She has constructed an enormous bonfire that never fully lights. What’s interesting about it is her almost blinding promise. 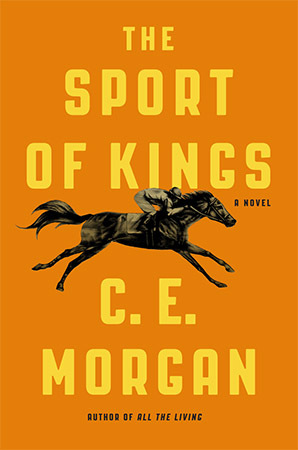 What did you think of The Sport of Kings?